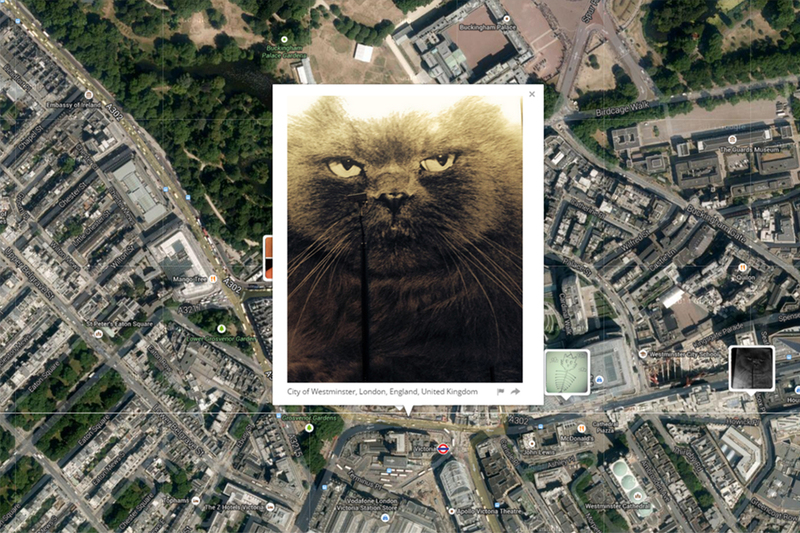 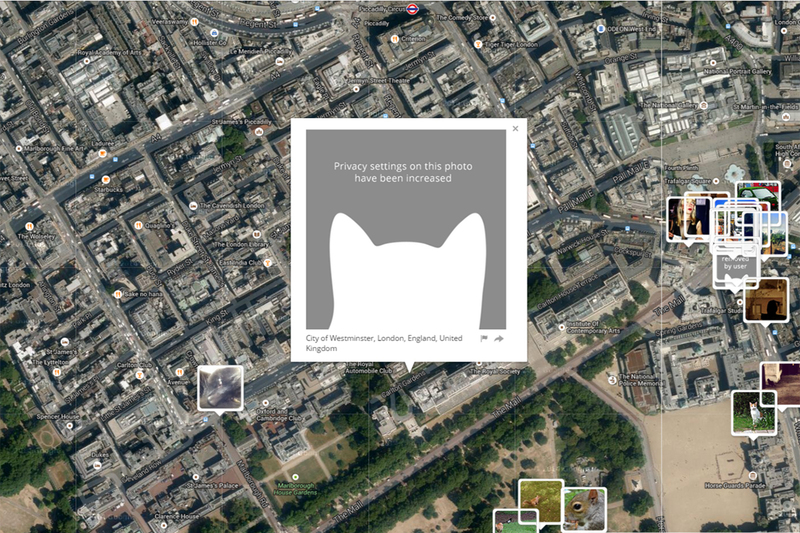 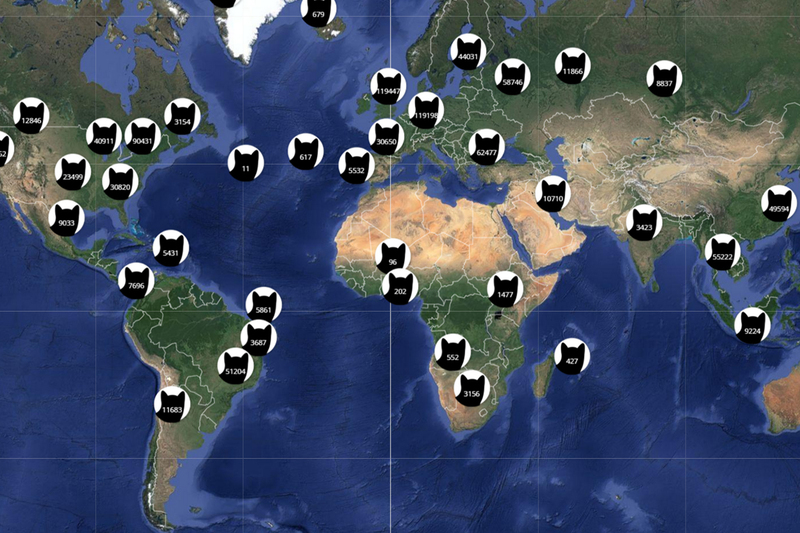 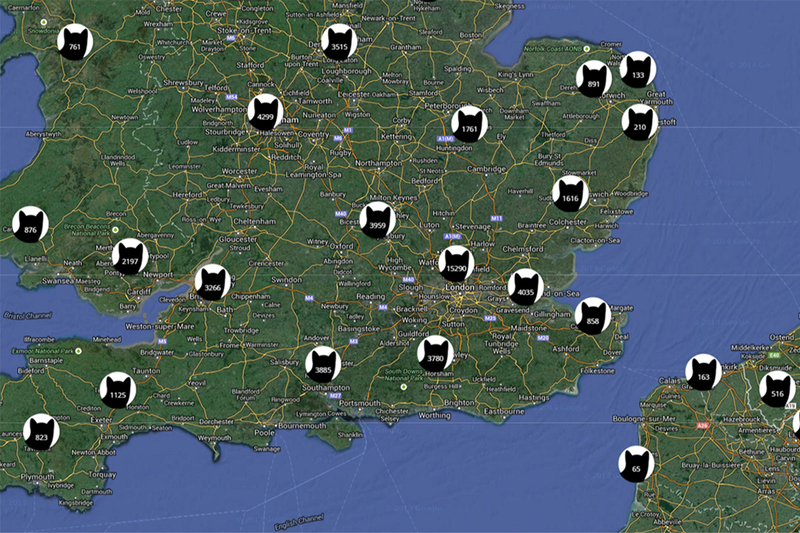 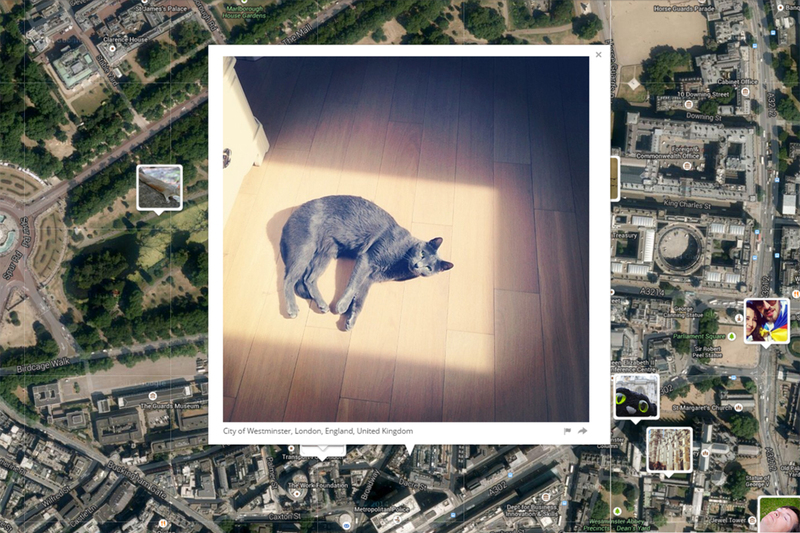 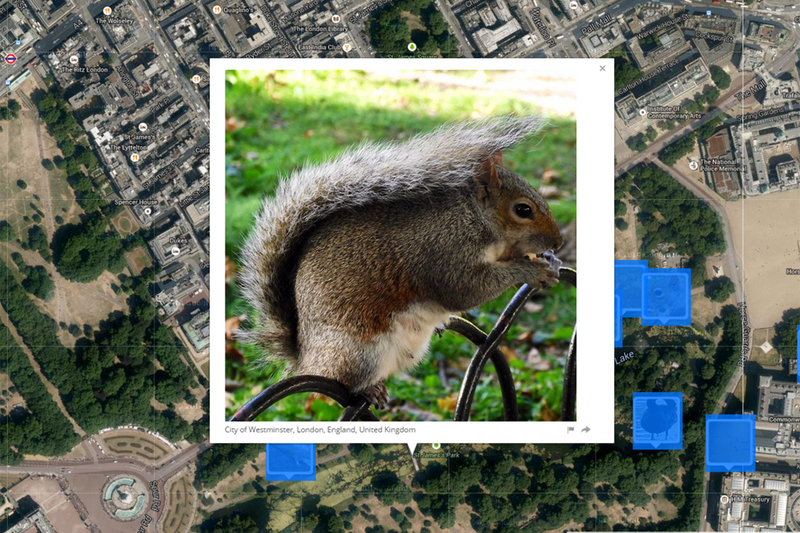 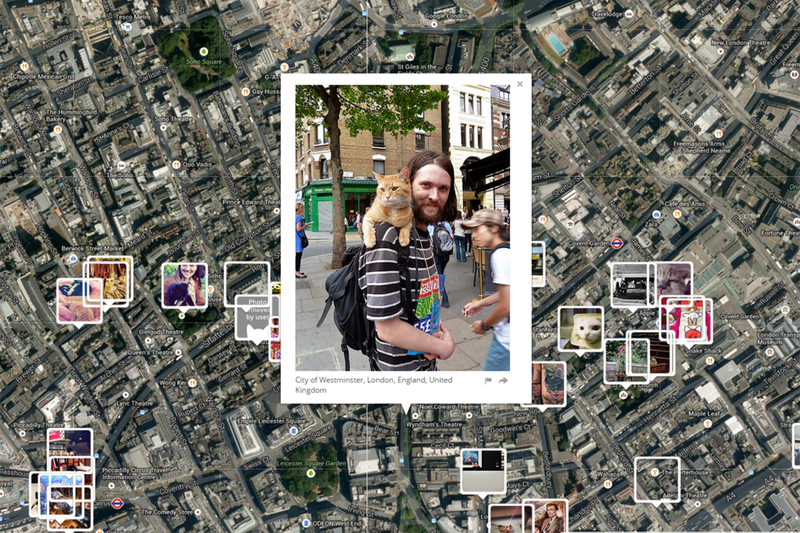 I Know Where Your Cat Lives is a data experiment that visualizes a sample of 1 million public pics of cats on a world map, locating them by the latitude and longitude coordinates embedded in their metadata. 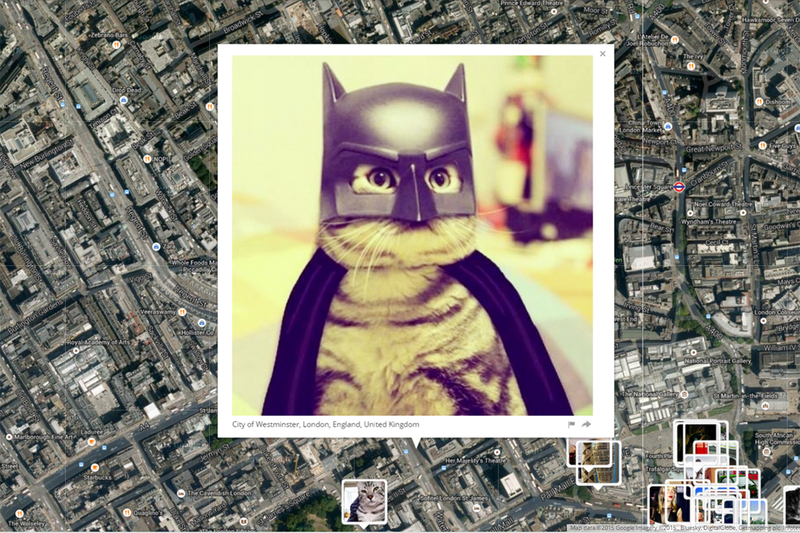 The cats were accessed via publicly available APIs provided by popular photo sharing websites. 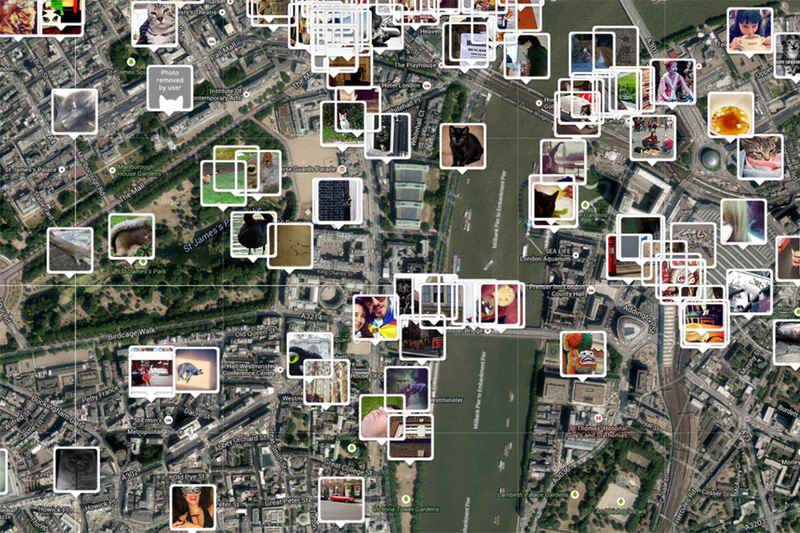 The photos were then run through various clustering algorithms using a supercomputer at Florida State University in order to represent the enormity of the data source.